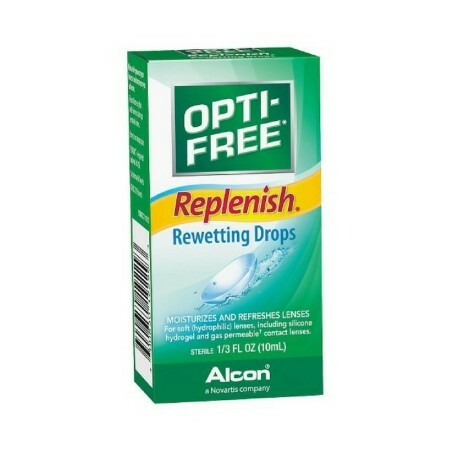 Directions To Refresh Lenses: If minor irritation, discomfort or blurring occur while wearing lenses, place 2 drops in each eye and blink 2-3 times. 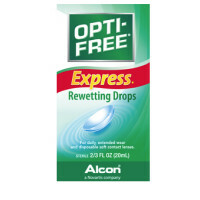 Use as needed throughout the day while wearing lenses. To Help Prevent Protein Build-Up on Your Soft Lenses: Place 2 drops in each eye and blink 2-3 times, 4 times daily. Uses Works while you wear your lenses to moisturize your eyes and lenses. For soft (hydrophilic) lenses, including silicone hydrogel and gas permeable* contact lenses. OPTI-FREE RepleniSH Rewetting Drops moisturize and refresh your lenses for greater wearing comfort. They also help remove particulate material that may cause minor irritation, discomfort, dryness, blurring and itchiness while wearing your lenses. OPTI-FREE RepleniSH Rewetting Drops contain patented RLM-100, which helps prevent protein deposit build-up on soft (hydrophilic) lenses while you wear them, when used as directed. *Fluorosilicone acrylate and silicone acrylate gas permeable lenses. Warnings To avoid contamination, do not touch dropper tip to any surface. Replace cap after use. See package insert for complete directions for use and important safety information.